Technology has completely changed the face of many industries in the U.S. – and the real estate industry is no exception. If you are needing to sell your home extra fast, you may want to look at an iBuyer program. iBuyer is a real estate company that will make an instant offer on a home by using something called an Automated Valuation Model (AVM) to determine your home’s value. 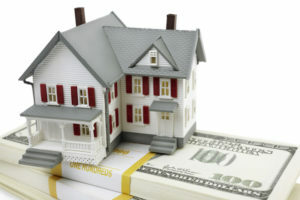 The real estate company will offer a full cash value and will allow you to close on your home in under two weeks. How do they make money? They will typically repair any damage and then re-sell the home at a profit. What kind of offer will I get? iBuyer will normally charge a higher fee (7%) than a typical real estate agent (6%). They will pay between 75-100% of market value because their intention is to invest money into your home so they can make a quick profit. Who might benefit from an iBuyer offer? • If you need to sell quickly – maybe you need to relocate for a new job or you’re paying a double mortgage. • You don’t have the cash to repair your home – iBuyer can step in and allow you to move forward with the sell without investing in any repair costs. • You are in a down market – maybe there is a lot of competition in your market or it’s a slow season. Either way, iBuyer may be a good option. • How quickly do you want to sell? After you fill out this form, then a representative from the broker will come and inspect your home. After looking at the marketing, evaluating the amount that would need to be invested, the iBuyer will send you a full cash offer that you could accept or reject. If you decide to accept the offer, you may close as quickly as seven days! So, there’s no obligation to even get an iBuyer offer – so, if you’re under a time crunch, have repairs that you need to make or are just ready to move onto the next chapter of your life – it might be worth getting an iBuyer quote. And, once you’re ready to make the move – give us a call for another free, no-obligation estimate for your move, that way you’re ready to go on closing day!